ST. JOHN’S, Antigua, Aug 15, CMC – Less than a week after the Jamaica government announced it had suspended the no sleeveless policy after reviewing the longstanding practice of prohibiting women wearing sleeveless attire from entry into government buildings, another Caribbean island is following suit. The Antigua and Barbuda government said it had appointed Social Transformation Minister Samantha Marshall to undertake a comprehensive review of the policy that prohibits people from wearing certain types of clothing when accessing services at government departments. Marshall said that her ministry has already started the process and is also holding discussions with other Caribbean islands to learn from best practices. 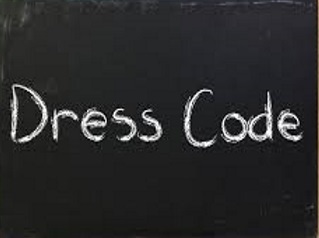 “In the past, we have used what is the old-time sort of thinking in terms of dress code. Right now, we have to appreciate that we serve the people and we have to accept that there are ways in which persons may present themselves,” Marshall told the OBSERVER Media. She said that if an individual is not dressed in a vulgar manner, he or she should be allowed to conduct their business. Marshall said that the present policy is not mandated by law, but is a rather a rule that was adopted a few years ago. “We are in consulting stages, we are hoping that within two to three weeks we can have an initial report to present to the Cabinet and we are hoping very shortly that there will be a change in the policy,” Marshall said. Last week, Jamaica’s Prime Minister Andrew Holness in a statement said he has formally given instructions for the suspension of the no-sleeveless policy and instructed a full review of government dress code practices. “To ensure the formulation of a proper policy, in the medium term, the Minister of Culture, Gender, Entertainment and Sport has been mandated to formulate, subject to consultation, a government dress code policy that is aligned with modern considerations as well as the climatic realities of Jamaica,” the statement noted. Antigua Observer – July 14, 2018 – Two men have been detained in connection with the robbery that occurred at Sweet-Ts on Tuesday July 10. According to an officer involved in the investigation, a vehicle has been confiscated and is being examined for evidence at the Liberta Police Station. 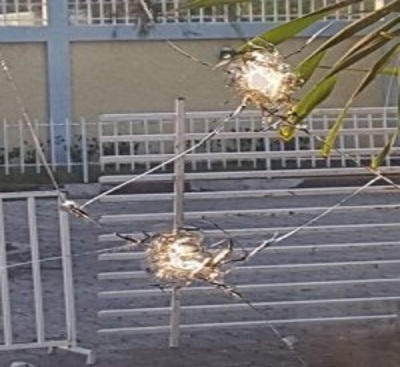 The police source said Closed Circuit Security Cameras recorded the car parked on a “dead-end” road not far from the business place that is located on Falmouth main road. And, the two robbers who ran from the establishment after the attack, went to that vehicle which left the scene shortly before the police arrived. OBSERVER media has also been informed that the police at Dockyard Police Station got a call minutes before the robbery, informing them that it was about to happen. The call came from individuals at the restaurant who saw the robbers with guns, lurking around. The men were clad in dark long sleeve shirts, long pants, full face masks, hoodies and gloves. This information was confirmed by police sources and staff at the restaurant which is known for its ice-creams and milkshakes. A manager at Sweet-Ts who did not want to be named due to fear for her safety, said some customers left and the workers ran to safety within the restaurant even before robbers walked up to the entrance, jumped over the counter and grabbed a bag with documents and ripped out the cash register. Six workers and a few customers were present at the time of the robbery but none of them had any interaction with the thieves. During the robbery, the gunmen were waving their weapons in the air, but, according to the manager, they never spoke. “It all happened within 10 to 15 seconds. The police were called a few minutes before that but unfortunately the police did not get there while the men were inside,” the individual said yesterday. And, apparently, no other police stations were informed of the pending robbery so there was no collaborative response. The robbers escaped with only an undisclosed portion of the evening’s earnings as the workers grabbed whatever cash and documents they could and put them away before the attack. Dockyard Police responded soon after the incident but by then the robbers were gone. Since reporting this robbery, residents have come forward stating that there were several robberies in Swetes, Glanvilles and Bethesda in recent days. BASSETERRE, St. Kitts, Jul. 12, CMC – The Ross University School of Veterinary Medicine (RUSVM) has opened a multi-million dollar research and pathology building that will allow for an improved understanding of zoonotic and vector borne diseases in the region. At the opening earlier this week, Deputy Prime Minister and Education Minister Shawn Richards said the government is looking forward to this new phase. “My Government is also happy that this new phase will result in enhanced understanding and control of zoonotic diseases that are transferred between animals and people, such as leptospirosis, and vector-borne diseases such as chikungunya, dengue fever and Zika. As you know, those three vector-borne diseases are spread by mosquito bites,” Richards said. 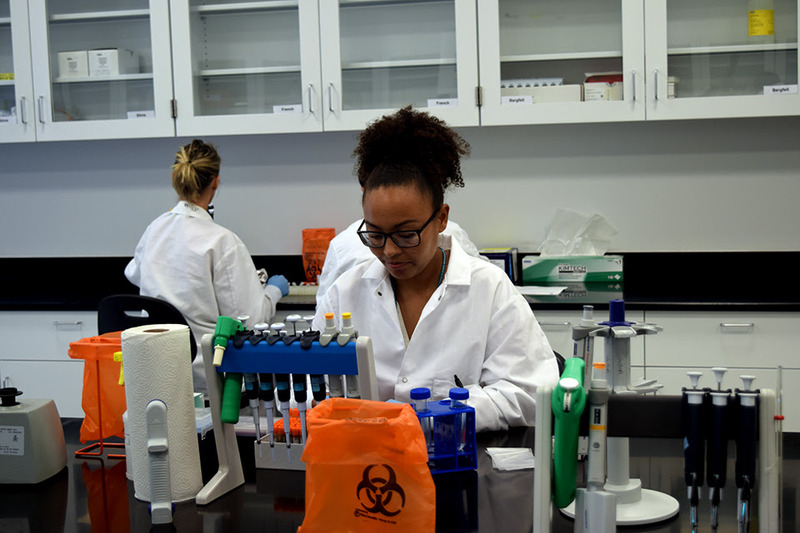 The deputy prime minister also stressed that the new research and pathology building will further strengthen the federation’s food and agriculture sector. BASSETERRE, St. Kitts, Jul. 12, CMC – The government has urged the public reduce their use of plastics in their everyday lives as plastic pollution is one of the biggest environmental challenges with negative effects on human, plant, animal and marine life. 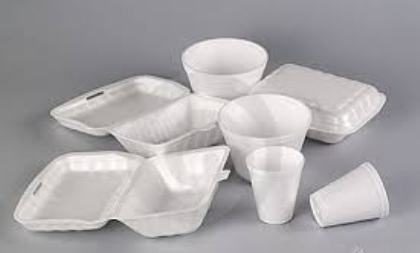 “We are realistic and we recognize that plastics have become an integral part of our lives and so what we are doing is creating awareness of the need to reduce the number of plastics that is generated, especially single use plastics,” said Assistant Secretary in the Ministry of Tourism, Diannille Taylor-Williams. 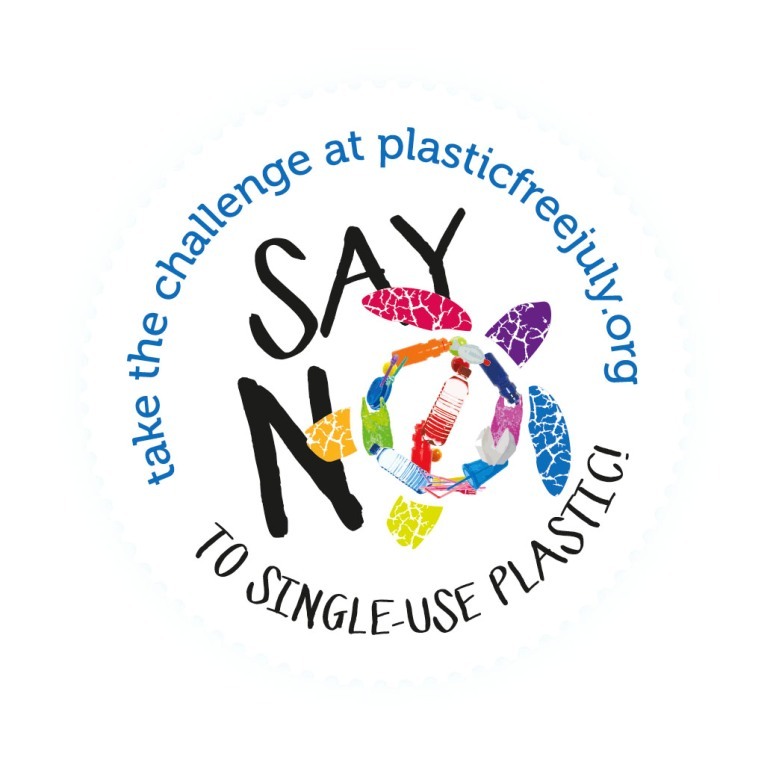 Taylor-Williams who was speaking on a local programme on Wednesday touched briefly on the initiative of a “Plastic Free July”, while at the same time encouraging persons to be more aware of their plastic use. 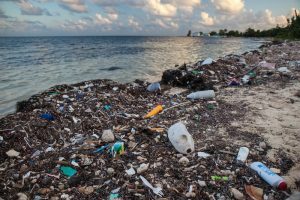 Vanessa Webbe, Tourism Officer in Nevis, shared similar sentiments and noted that St. Kitts and Nevis can succeed in its quest to reduce the use of plastics. “I want to say assertively that we can eliminate the single use of plastics and I think overtime, reduce plastics. 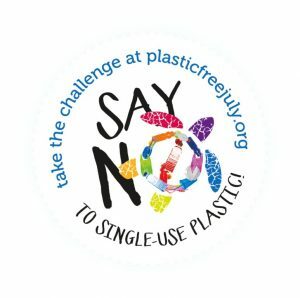 So let us continue the discussion and encourage each other and remind each other to go plastic free,” she said. Last month, St. Kitts and Nevis joined the rest of the world to observe World Environment Day under the theme: “Beat Plastic Pollution”. The Department of Environment uses the month of June annually to promote environmental awareness in schools, and among the general public. This year an outreach focus for the month of June was on the timely international theme of reducing the global dependency on plastics. Wednesday, July 4, 2018 — BELIZE CITY, BELIZE, MONDAY, 2 July 2018 (CRFM)—The Caribbean Regional Fisheries Mechanism (CRFM) has been working along with United Nations Food and Agriculture Organization (FAO) to develop a set of best practices for small-scale fisheries centered around Fish Aggregating Devices (FADs) in Small Island Developing States (SIDS). The best practices are being documented following a Pacific-Caribbean Nearshore FAD Fisher Exchange with representatives from 7 SIDS in the Caribbean and the Pacific who recently participated in a study tour in Barbados, Grenada and Dominica. The study tour was a critical part of the collaborative and consultative effort by the CRFM and the FAO to facilitate the exchange of fishery-specific information, as well as to collect, synthesize and analyze data PRESS RELEASE FOR IMMEDIATE RELEASE and information on the small-scale FAD fisheries in the Caribbean and Pacific SIDS. During the tour, participants conducted an analysis of the strengths, weaknesses, opportunities and threats (SWOT analysis) relevant to the FAD fishery, to derive a set of best practices that would support sustainable development and effective management of small-scale FAD fisheries in the Pacific and Caribbean. The following article comes three months later and will help to restore some credibility… we would like to hear from ‘The Guardian’, who earlier had, according to sources, refused to recant. 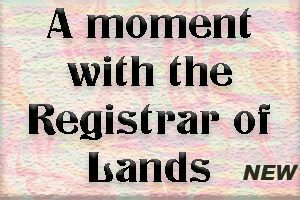 The Expess: On 07 March 2018 we published an articled headline “Montserrat’s volcano update: Is the terrifying volcano at risk of imminent eruption?”. The article said that the volcano was showing signs of intense activity. The article was subsequently amended on 03 April 2018. The article claimed that ‘Montserrat’s dormant volcano last erupted in 1997, when the fiery mountain reared its ugly head after a two-year-longperiod of activity.’ This is incorrect. The eruption started in 1995 and has continued ever since that date, with five “pauses” in the surface activity. According to the Montserrat Volcano Observatory (MVO) the volcano is currently in such a pause, which started in February 2010. Inflation, earthquakes and gas characterise these pauses. The first paragraph said that volcano-tectonic earthquakes in February had ‘sparking fears of eruption. The MVO state that nobody in the Monserrat government, or scientific community has developed a fear of an eruption because of these earthquakes. According to the MVO five earthquakes in a week is not unusual for the Monserrat volcano because the average weekly rate since February 2010 is four. One week recorded 62 such earthquakes. This type of earthquake activity, known as a “swarm”, is considered to be perfectly normal at this stage in the eruption. We have been asked to clarify that the MVO has regularly reported on activity and that since 2010 there has been gradual inflation of the volcano and the entire island due to the influx of magma at depth. Professor Neuberg had been re-examining some of the data in a quest for an alternative explanation and concluded that there is no reason to change MVO’s interpretation. The rate quoted of “35 cubic feet of magma building up beneath the island every seven seconds” is a new estimate, but remains the average rate since 2010. Consequently there has been no “increased volcanic stirring”. Since February 2010 the advice from MVO has always been that the eruption is not over and that surface activity may restart. TORTOLA, British Virgin Islands, Jun. 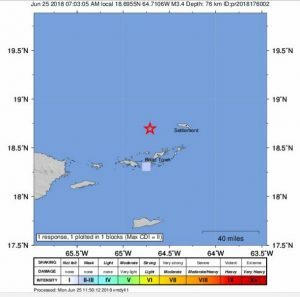 25, CMC – Sections of the British Virgin Islands were rocked by a minor earthquake shortly after 7:00 am (local) time on Monday. The Department of Disaster Management (DDM) reports that the 3.4 magnitude quake had a recorded depth of 48 miles. The epicentre of the tremor was located 19.8 miles north-northwest of the capital, Road Town. The territory was last rocked by a significant tremor of 4.7 on April 6. Posted on 22 June 2018. PORT OF SPAIN, Trinidad, Jun. 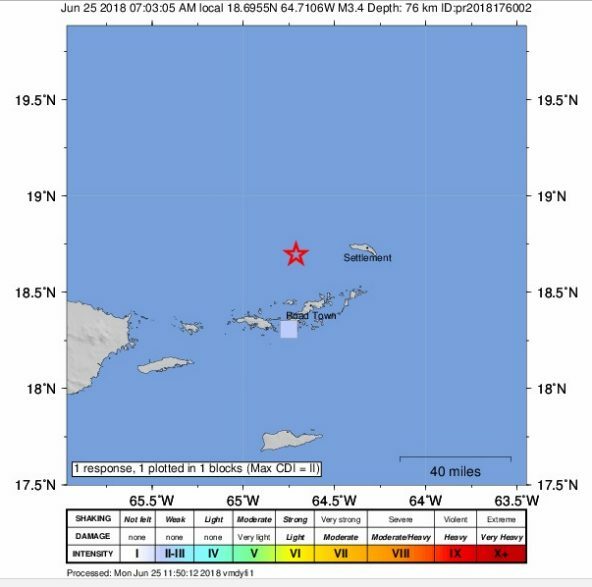 22, CMC – Sections of the twin island republic were rocked by a magnitude 5.3 earthquake late Friday. 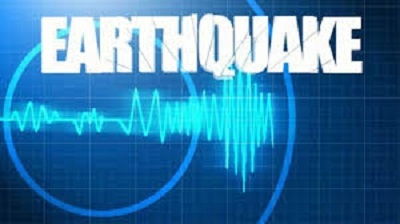 The Seismic Research Centre (SRC) at the University of the West Indies St. Augustine campus reports that the tremor that occurred at 9:54 pm (local time), was felt 94 kilometres east of Carupano, Venezuela, 98 kilometres west of Port of Spain and 118 kilometres northwest of San Fernando. It was located at latitude 10.78 N. Longitude 62.39W and at a depth of 78 kilometres. In recent months, Trinidad and Tobago has been experiencing a number of earthquakes and earlier this year, a senior official of the SRC, Seismologist Dr Illias Papadopoulos, warned the country to be prepared for a major quake.